I’m sure many of you model your very cycling existence upon my riding exploits. If that’s the case, you’ll want to know what kit and caboodle I use, and recommend, on t’ bike. (Note: there are affiliate links on this page. If you click on them and buy something, I get a small commission. It doesn’t cost you anything, but if you fancy saying a little thank you for all the nice posts that I write, I’d really appreciate it). I am a massive fan of this bike. You can read my review here. You can buy the same bike (albeit in this year’s colours) at Evans Cycles (you can do the whole ‘Click and Collect’ thang). 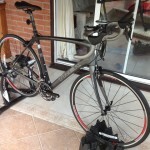 If you want to see which other manufacturers make sportive-specific bikes, check out this post where I try to summarise what’s currently available. If you’ve read this blog for a while or you follow me on Strava, you may recall that I got an Edge 510 from my wonderful wife for my birthday. So far I’ve taken it training around Derbyshire and the Peak District, Cat 1 climbing in Majorca and on my triumphal return to the nation’s capital for RideLondon 2013. I love it and recommend it to everyone. So here I am recommending it to you. As far as I can tell, the best price seems to be available at Amazon – which you can get to by clicking here (UK link) or here (Amazon.com) . (If you’re unsure between the Edge 510 and its older sibling, the Edge 500, I wrote a handy post that explains the difference). I have nothing but praise for these shorts. They fit well. They feel good. The padding is generous and kept ‘down below abrasions’ during RideLondon to an absolute minimum. Click here to purchase them from Cyclesurgery and, at the time of writing this, they’re going for £25 off the list price. Which is nice. If you want to learn more about cycling shorts, click to read my comprehensive guide. 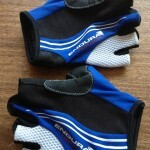 I’ve been very happy with these gloves from Endura. They feature high quality gel-filled pads to prevent over-stimulation of the ulnar nerve (and subsequent numbness). Click this link to buy them from Evans Cycles. I think these pedals are awesome. You can read why I bought them here. If you still need some convincing, then I’d say they were the single largest factor in turning me from someone that couldn’t cycle for more than 60 minutes without getting knee pain, to being able to scale the mighty climbs of Majorca… in about a week. Put simply: buy some (then get a professional bike fitter to make sure they’re set up correctly for you). You can buy them at Evans by following this handy link. I bought the Aerowedge in May, after the zip on my old Trek saddlesack went kaput. I’ve been very happy with it: plenty of space to carry all the necessaries; the zip is high quality; fits to the bike securely. You can read my saddle bag buyers guide here, or you can go straight to Wiggle now and buy one for yourself. Like most speed/cadence sensors, the Duotrap uses magnets attached to a wheel spoke and a pedal crank, passing by a sensor. 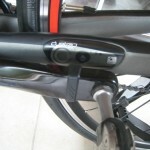 Unlike others though, the sensor fits into a specific hole that Trek put into some of their road bikes. 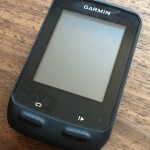 So if you don’t have a compatible Trek bike, it won’t be much use to you (better to go for the standard Garmin version). 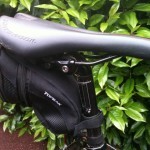 If you do have a compatible Trek bike, then you’ll love how neatly the Duotrap fits with your bike. No fiddly positioning with rubber bands required. They’re available from Evans in the UK (and Amazon in the US ). Pingback: What’s New On Sportive Cyclist: New Juicy Bone For Subscribers; Resources Update; Get Lean In July!